Over the past decade or so the print market has been turned on its head. Sales and overall generation of business are not the same ballgame they used to be. As such, your printing company should take a close look (and probably already has) at fresh options for acquiring new clients. But, where is there left to look and are there new sales techniques to follow when you find them? Finding new areas of business might be the hardest component of acquiring new clients. Andre Palko, President of Technifold USA, believes that any business's best bet is to shy away from areas with high competition and head towards sections with relatively untouched demand. While any given person may think that the logical solution to creating more business is to seek out highly-populated cities full of potential clients, the better move may be to step back and head into the quieter suburbs. Palko notes that while a Google search for "commercial printers Baltimore, MD" turns up hundreds of results, a similar search targeted towards a much more rural town like Lafayette, NJ shows less than 20 options. In a similar vein, your salesmen should do thorough research to find locations of less obvious businesses that could be seeking a printer. While most companies have clearly visible signs out front, there are a handful of businesses that are not as prominently displayed, said President & CEO at Metcom, Inc. Tom Warnez. Find out where these are and start pitching your products to them directly. Companies that require highly repeatable forms are also great business targets for continuous sales opportunities. Try to aim for industries or markets that need work orders, delivery receipts, statements or AP checks. A great example of this kind of industry is food suppliers, especially local services. These types of businesses are reluctant to seek out high-tech delivery systems due to cost inefficiency, noted Warnez. Their constant need for delivery receipts and work order forms makes them a highly profitable industry for print distributors. Our last, and arguably best, tip is to have your salesman go against the general grain of fellow print salespeople. When the print obituary was written up and sent to the digital press, many print distributors ran away from small business markets. A smart salesman would see this as a gold mine. This kind of scenario is always applicable: The best companies target areas where other companies refuse to go. So, now you're in the proverbial (and sometimes literal) door. Where do you go from here? Seasoned print salesmen probably have a routine laid out in their minds. However, What They Think contributor Jerry Scher says this is the print industry's biggest pitfall. Sales department reps who have been in the business for decades must be willing to adapt their selling methods to the changing world of print. According to Scher the skills required to excel in sales performance are much different than what has passed in the past. Bill Farquharson, in a contributing article for Printing Impressions, wrote of how he experienced this exact phenomenon at a recent GRAPH EXPO panel run by a handful of print purchasers. Farquharson, a sales veteran of 30 years, relayed his tried and true method of sales to the panel and asked for their comments. In what came as a huge shock to Bill, one panel member replied by telling Bill he had his method all backwards. While Farquharson was never too far off in his sales approach (the end result was his technique reversed), his story works as a great example of an older industry expert learning new ways to approach sales – and the tips are great too! The first tip lies in having a thorough knowledge of your clients' business and the potential obstacles they may face. Where Farquharson listed this as his third priority, the expo panelists saw this as the most important quality in a sales pitch. This knowledge demonstrates dedication and thorough research skills on the part of your company right off the bat. The second tip follows a similar train of thinking: know your product. A good salesperson knows the ins and outs of what their product has to offer a client and their company as well as how their services square up to competitors. Buyers are busy people. In an interview with Forbes, president of Sales Pro Insider Nancy Bleeke stressed the importance of demonstrating your value to your potential client right off the bat. "Buyers are inundated with information. You need to be able to connect the value of your solution to that specific buyer, or the buyer is not going to give you any time or attention," said Bleeke. Farquharson isn't the only print sales rep with some insight. Kelly Mallozzi lent her biggest sales tip to Printing Impressions in a guest post. 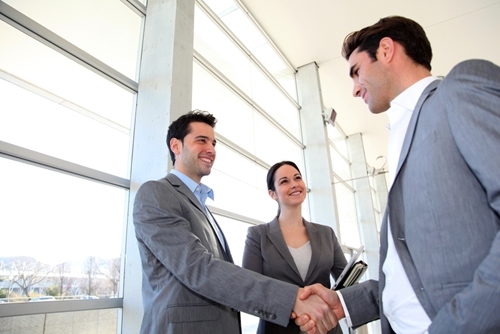 Sales reps are known to talk, it is probably the most prominent part of their job. However, Mallozzi says 15 years in print sales has taught her the value of closing her mouth every once in a while. The star of the conversation should always be your client. Mallozzi encourages sales reps to start adding phrases like "tell me more" and "why is this important to you?" into their calls. Focusing on the client and allowing them maximum time to speak showcases you are there for them and really want to understand their needs. Overall, generating business for your print company can be a fun process if you know where to look. Don't be afraid to take risks and ensure that your sales reps are constantly willing to try out new sales tactics.